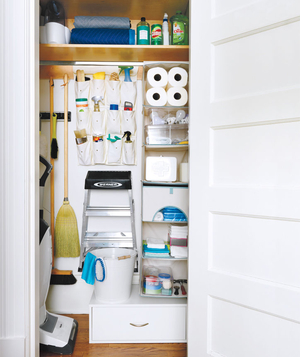 Place all everyday essentials, like wipes, all-purpose spray, and your duster, at eye level and easy to reach. 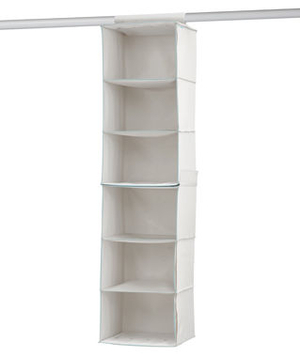 They suggest hanging a shoe organizer to place items in if you do not have good/enough shelf space. Like in other closets, move anything seasonal (like the humidifier) and oddball items (like moving blankets) up high and out the way to save prime real estate for more frequently used items. Deep cubbies like those in a sweater organizer, provide perfect nesting spots for clean cloths, paper towels, and recycling bags. It’s easy to find items when they are grouped but also when they are in clear plastic bins. Maintain collections of similar items – light bulbs, batteries, tools, extension cords – in clear lightweight containers. 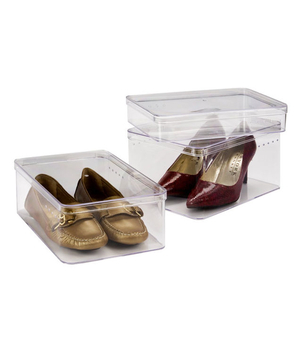 Real Simple suggests the Container Store’s shoe boxes. Also, make sure to label each box for quick recognition. Create a binder for your manuals and warranties using clear plastic sheets and tabs to separate appliances/gadget by room. Let hooks help you. 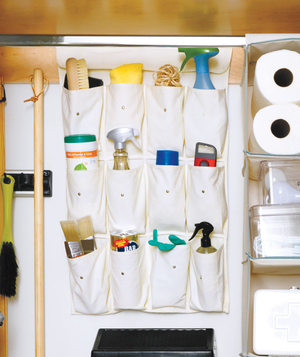 Install a utility wall organizer to hang mops and brooms. Also, use hooks for hanging step stools or anything you need to grab quickly.